My path to this business is quite a different one... I've always had an interest in health and wellness, but my education and career choices led me into Sales and Marketing, which I enjoyed for decades. I've worked through the ranks of many major international corporations, earning an MBA in Strategy and Marketing along the way. In mid-2015, life circumstances allowed me to step back from that very competitive corporate arena and follow my 'heart roots' back to horses and wellness. Horses actually brought me to Bowen - I spent the majority of my youth competing in the Hunter & Equitation rings in the Central West Trillium region on many great horses. During this time, I made an acquaintance with a woman who did Bowen/EMRT on horses. Watching her work and seeing the horses' responses was amazing - I wanted to learn it! I started with the Bowen courses on people and earned my Practitioner status in 2008 through the original Bowen/Bowtech Academy based in Australia. I'm proud to say that I'm a 2nd generation student of Tom Bowen himself. After working at a nearby clinic on a part-time basis, I got 'stuck' on people as the results were so incredible. It was so gratifying to see people's pain dissipate and watch them regain their lives. Fast forward to 2016 when I finally had the chance to start learning a similar modality for horses, and here I am today. 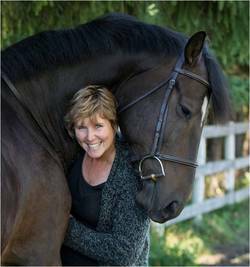 I've completed Advanced Integrated Equine Therapy training and am also now a Certified Animal Bowen Practitioner. I've had the good fortune of meeting so many great people and horses through this journey of reintroducing myself to the wellness world. Working with these magnificent animals and their riders and owners is so gratifying, and seeing them all improve with my help is very humbling. I would love the opportunity to help you if you need it!